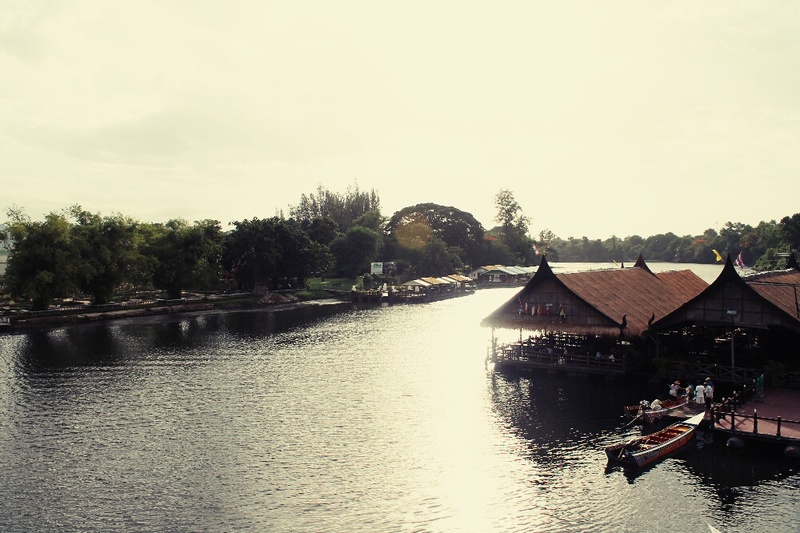 From Bangkok, only a couple of hours bus journey to the east is Kanchanaburi, a small town rich in WWII history. We reached our river raft guest house, which bobbled about in the river (not so cool after a few beers) and then hit the town to see what Kanchanaburi is all about. The main strip was full of expats, restaurants and bars. 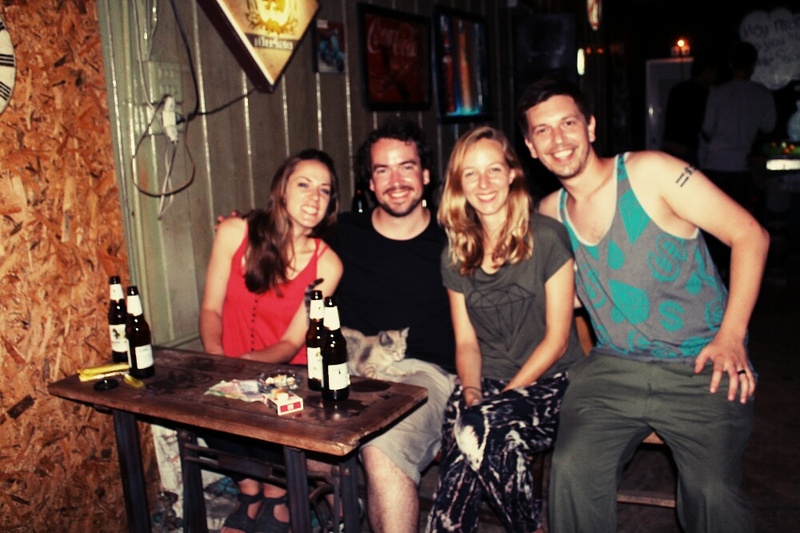 In these bars were always 2-4 Thai girls enticing the Western lads, mainly older gentlemen to come in. Its a bit bewildering and abhorrent. The next day we went on a tour of the sights. 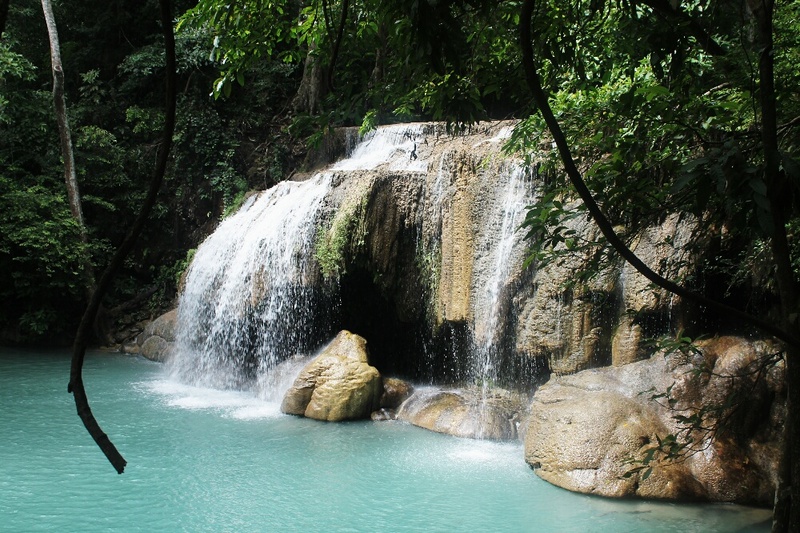 The first stop was Erawan National Park, which is home to the seven-tiered waterfalls. We decided to trek to the top so we could see all seven of the waterfalls. It was a hot humid day and just over an hour later we were both dripping in sweat but made it to the top. The sights were stunning, the water was clear and untouched, we both went into the 7th tier waterfall pool. It was so refreshing we could have stayed there all day…that is until the fish started to nibble at our feet. You must have all seen this treatment where you put your feet in water and the little fish nibble off the dry hard skin from your feet? This was like that but the fish were big! It felt really freaky, after yelping like a girl , “oooh, ahhh” we decided to exit and head down for some lunch. After lunch we headed to the Hellfire Pass and museum. 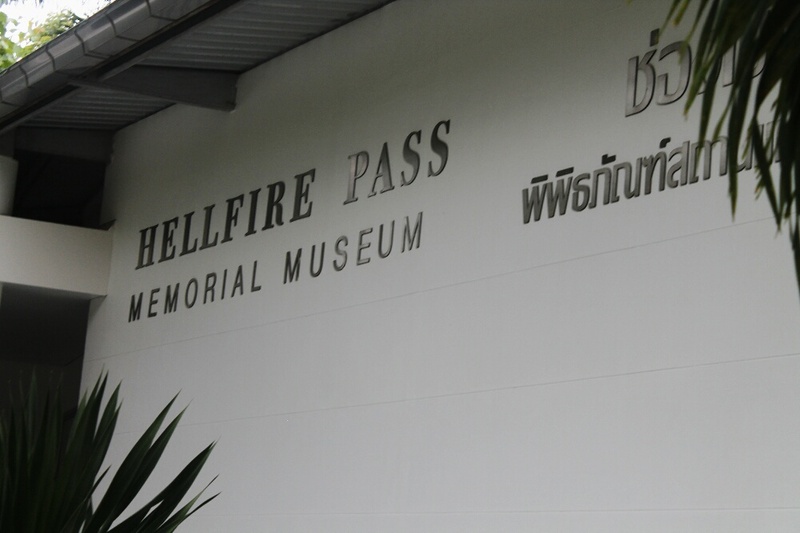 We both don’t remember hearing about this at school, or even in documentaries – but the Hellfire Pass is the name of a railway cutting for the former “Death Railway” in Thailand. In 1942 Kanchanaburi was under Japanese control. 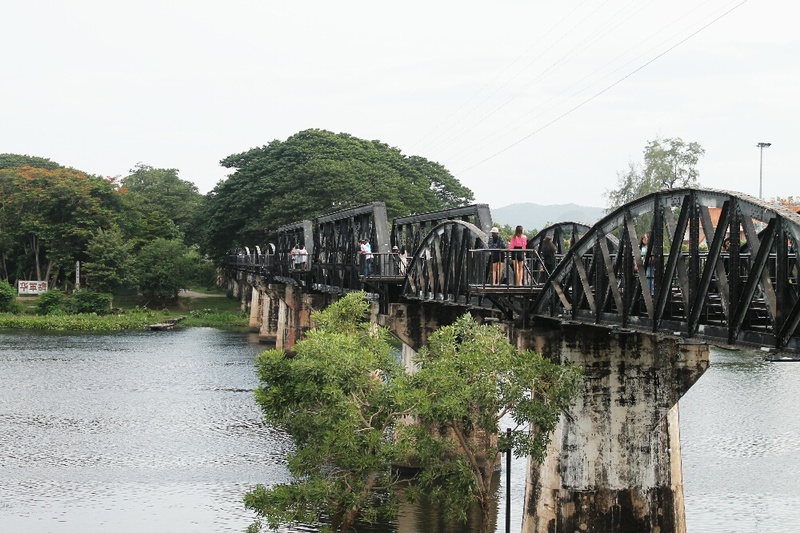 It was here that Asian forced labourers and Allied POWs (Australian, Dutch and British) were forced to build the infamous Burma-Thai railway. 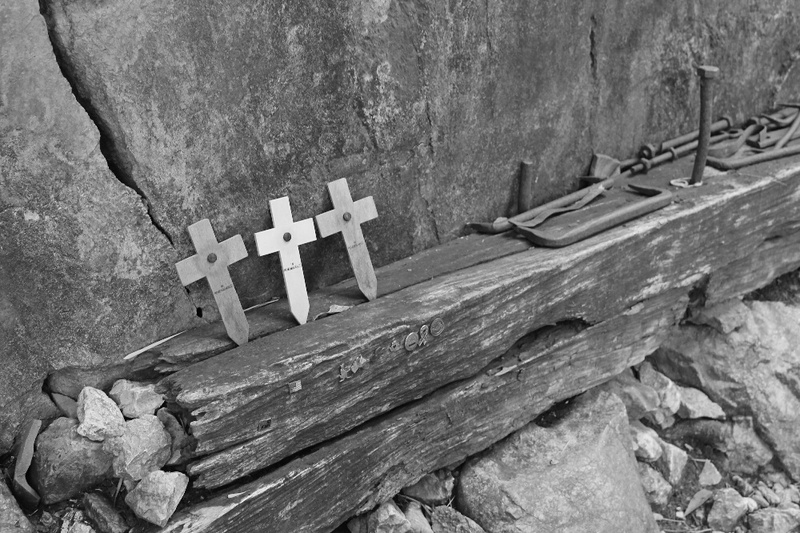 Almost half of the prisoners working on the project died from disease, maltreatment and accidents. 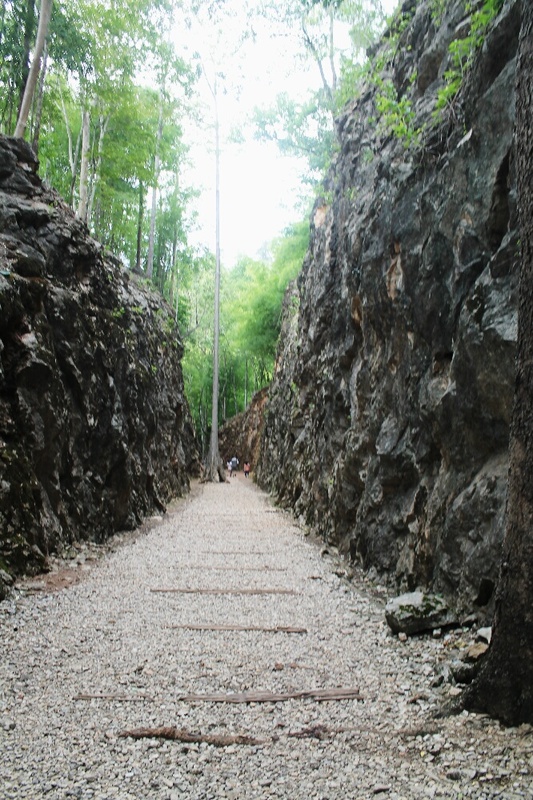 The Hellfire Pass was a hand carved rail track, if you see the pictures below, this path was made by man, well thousands of them, with no proper construction tools. The slaves worked 18hrs a day on little food and it took them 1 year to complete a 415 kilometer track. It was both interesting and incredibly sad. We listened to an audio guided tour and heard first hand accounts from POWs during that time. Of all their strives and struggles, the thing the men were most scared of during that time was cholera. 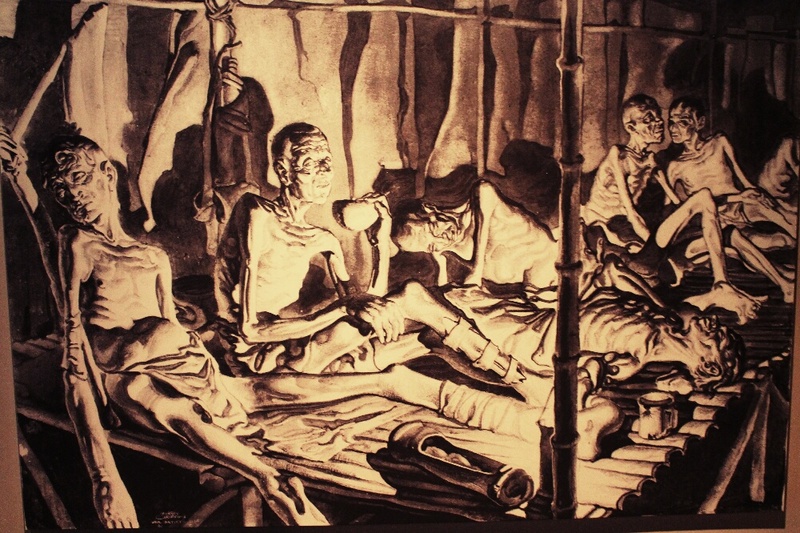 They could take the beatings and starvation, even malaria and maggot infested wounds, but it was the terrible cholera these men were most in fear of. We are truly lucky for the times we live in today. 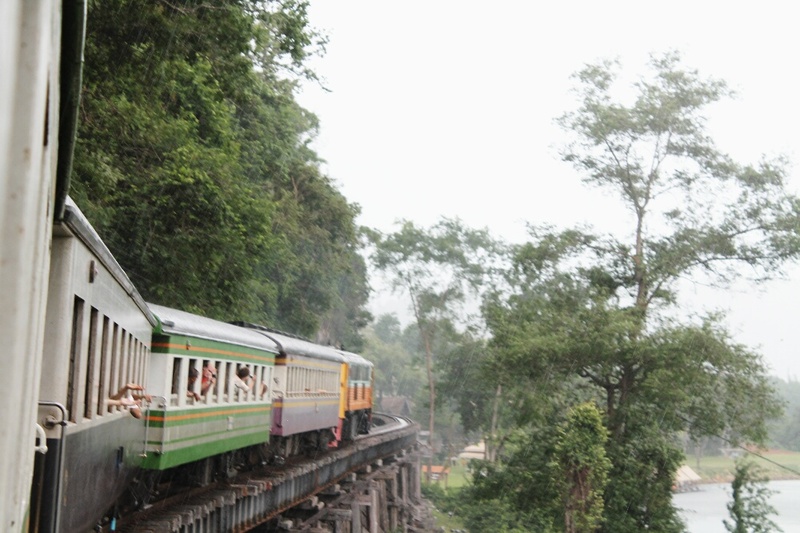 We ventured on to other sites afterwards which included a train ride along the River Kwai. It was really beautiful. The trees here are so green and filled with gigantic leaves. The amounts of rain and sun here are to thank for the lush countryside. The tour was well worth the money. We got our exercise for the day, learned so much and met some really nice people. That evening we ran into the really cool Dutch couple (Joost and Marieke) that were on the tour with us earlier that day. I think we all meant to have a chilled and relaxed evening. Well….many many beers, a sheesha (hooka) and cuddling with a random cat who we named Bill, as we handed the cat over on the check tray with our payment…. later we went home to our raft house. Great day. Hua Hin a beach town is our next stop. Posted on June 24, 2014 by themussmarter	This entry was posted in Thailand and tagged Kanchanaburi, waterfalls, worldwar2. Bookmark the permalink. The sites and photos are beautiful. Thank you for sharing them, and for sharing that important yet sad historical information about the laborous Hellfire Pass. Incredible.